TSS visa Australia (Temporary Skill Shortage subclass 482 visa) will replace the 457 visa program from 1 March 2018 as announced by Malcolm Turnbull in April 2017. A visa number has finally been advertised – it will be also be known as subclass 482 visa. The reason why the number has not been advertised straight away? Some say a department wanted people to call the visa by the name (TSS) instead of by the number (482). Fair enough … Unlike for 457 visa, not all the occupation will be eligible to transition from TSS to PR. 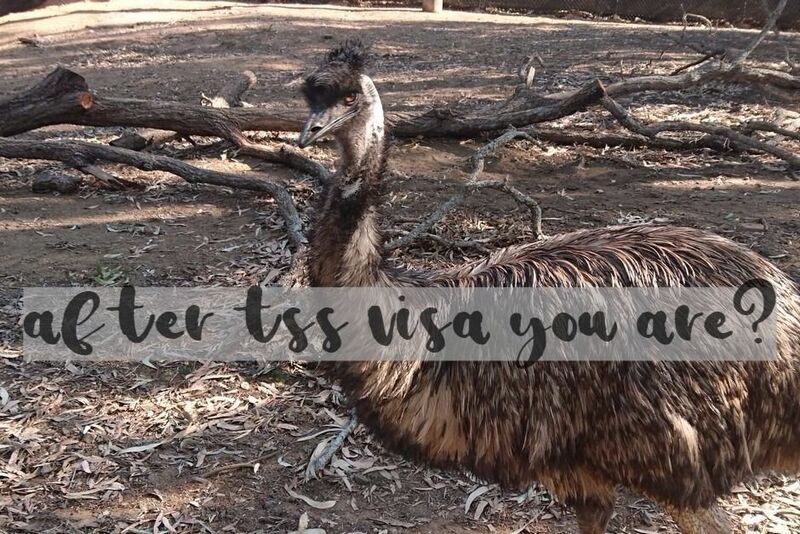 But first of all – let’s discuss how to get a TSS visa. Occupations on the STSOL List (Short-Term Skilled Occupations ) will be eligible for visas of up to two years. Visas might be renewable once, for a further two years. Occupations on the MLTSSL (Medium and Long-Term Strategic Skills List) will be eligible for up to four years visa (with eligibility for permanent residency after three years). A new instrument with a list of occupation will very likely be released. Interestingly there will be some additional occupations available for regional Australia. The short-term TSS visa will be valid for two years. It will be possible to renew it onshore once, for another two years. The main purpose of this stream is to fill temporary skill gaps in Australian labor market. It is allowing Australian businesses to employ overseas talent. Visa applicants must acquire an employer willing to sponsor them. Under this stream, short-term TSS visa holders are allowed to remain in Australia for no longer than four years. There is no pathway for Australian permanent residency through employer-sponsored skilled visa (ENS or RSMS visa), but there might exist the other avenues through skilled nominated or family visas (such a partner visa). The short-term list will be updated every six months. Occupations may be added or removed. English language requirement, overall IELTS score of 5.0, with a minimum of 4.5 in each area. The other English tests such as PTE or TOEFL are also accepted by the department of immigration. a minimum two years of relevant work experience will be required. Experience will have to be “skilled” – gained after completion of the relevant school / programm / degree. There are exemptions – it’s really on a case by case basis. The TSS program will commence in March 2018 (exact date is not known yet). If your occupation is on the STSOL list and you will apply before this date, you will only be granted a two-year 457 visa. The medium-term TSS visa is aimed at applicants working in critically needed skilled occupation. English language requirements – overall IELTS score of 5.0 and a minimum of 5.0 in each test component (so-called vocational English). This is slightly higher than for the short-term stream. There is no age limit for TSS visa. Your skills and experience are what matters the most here. Keep in mind if you are 45 or over your options for a transition to permanent residency might be limited. Doctors and high-income earners still may have the option to transition to ENS / RSMS after some time, but for the others over 44 years of age skills based permanent residency might not be available. Family mightation can still be an option in some circumstances. Similar to 457 – employers planning to sponsor workers will need to become an approved ‘standard business sponsor’, although a nomination process might be slightly different. There are also TSS visa employer obligations. remuneration and other work terms and conditions can’t be less favorable than those offered to an Australian employee in the same position. Before sponsoring an overseas worker, an employer will be obliged to explore local labor market to ensure there is no suitable candidate for the role available. ANZSCO Skill level 1 and 2 occupations are currently exempt from a Labour Market Testing for 457 visa. This will no longer be the case for TSS visa. Unless there are International Trade Obligations in place LMT will have to be commenced (there could be some exemptions in very limited circumstances). Instead of Training benchmark A or B employer will have to contribute to a Skilling Australians Fund (has not yet been approved – bill still needs to pass Senate). At the stage of nomination, an employer will have to pay the fee multiplied by the number of years visa will be applied for. For example – if the company’s turnover for recent financial year was over $10m and the visa is applied for 2 years, at the nomination stage additional $3600 will have to be paid. Although the fee is being collected by a Department of Home Affairs, money are beuing passed to the Department of Education and they’ll decide how to allocate the funds. For more information on which occupations can be sponsored check a list of skilled occupations. To find out if you’ll eligible for a TSS visa, contact us today. Unlike for 457 visa PIC 4006A will no longer be available for TSS visa. PIC 4007 health waiver will be available instead. At the moment (March 2018) it is expected that decision ready applications might be decided within 5 months period of time. If any documents will be missing and case officer will ask for additional evidence – add another half a year, so make sure your application is compliant. Another factor you’ll have to consider is processing time for sponsorship and nomination. You can check current average processing times on a department’s website. Unlike 457 where work experience in some circumstances was not required, for TSS visa it is expected that an applicant will have at least 2 years of work experience. Unlike for skills assessments where the type of work experience is being defined clearly (skilled, unskilled, prior to qualifications, after the qualifications, on the job training, in lieu of qualifications, etc) for TSS visa type of work experience has not been defined, so essentially it is up to the case officer if they’ll be satisfied with the evidence of skills. We have broad experience with 457 visa for various occupations so if you need to discuss your situation please book a consultation for advice about the way forward. bridging visa A, B or C.
Unlike for 457 visa, schedule 3 provisions do not apply for TSS visa, which means applications lodged offshore must be decided while an applicant is offshore. It’s gonna be a bit harder for those impacted by section 48 bar. Until the TSS visa will be introduced, subclass 457 visa will remain available for use by companies that wish to sponsor skilled workers. Please contact us for advice and assistance. All the 457 viss applications lodged before TSS visa will be formally introduced shall be determined with the “old 457 rules”. We at Nowak Migration have the ability to advise employers and skilled individuals on the requirements for this new visa. We may also assist with the lodgement and supporting documentation required for the nomination and visa application. essentially – we can assist employers and visa applicants by managing the TSS visa application process from beginning to the end, liaising with the Department of Immigration and Border Protection and ensuring the application has the best possible chance of success. If you intend to lodge an application before March 2018, under the current 457 scheme, we will advise on how the changes may impact your visa grant. We can also advise the pathway to permanent residency. To arrange a consultation with a Registered Migration Agent, call 07 3668 0658 or contact us. TSS visa (Temporary Skill Shortage ) will replace the 457 visa program from 1 March 2018. There are 2 streams within TSS visa programme: short-term and a medium-term stream. Check this article if you'd like to know more about the visa. Sorry, we do not arrange sponsors. Is it possible to study part time or with distance learning institutions while on the Subclass 482 Temporary Skill Shortage (TSS) visa? Distance learning – no issue at all. Part-time classroom – should not be a problem as well – check the conditions of your visa. For TSS short term sponser visa for 2 years can we give 5 years of studies from English medium school or college instead of giving ILETS/PTE. Depends on the schooling level, but it is possible. i am working as full time accountant for last 2 yrs if my employer agrees to sponsor me for 482 do i need to do skill assessment with cpa. Skills assessment as an accountant might not be necessary for TSS, however, registration as an accountant might be. IELTS 6 each band is satisfactory for 482. Hi, I am Bachelor of Civil Engineer (graduated in 2004) with 14 years of experience, holding CLB 5 (overall 6 band) valid upto 2018 October. Can I apply for SKILLED – NOMINATED (190) VISA ? Or what are the possibilities to get migrated in Australia. I don’t have any relatives in Australia, have some friends only. Moreover, what are the chances for me to get skilled nominated visa 190 in Canberra or Tasmania with 1 year study? You’ll have to get a positive outcome of a skills assessment first. 190 could be an option if you’ll get enough points and state nomination. Please book a consultation if you’d like to discuss your option in details. I am planning for work permit in australia.do have i have to mention my past migration history.i was overstay in UK before and how does it effect. There is a specific question in a visa application about this. I have 1 year and 11month of experience in nursing overseas. Can i apply for tss visa? 2 years of work experience are required for TSS. I have done secondary school plus 2 year diploma course in India and I’ve four years experience in manufacturing field. Am I qualify for TSS visa? I am a stock farmer with 32 years farming experience, particularly in thoroughbred horses. If I wish to enter on a TSS 482 visa as a “Horse Breeder” ANZCO 121316 will I require a skills assessment. I see there is a VETASSES B assessment for this and a bachelor degree or equivalent is required. Does this apply for 482 applications too? Skills assessment for a 482 visa very likely will not be required in such a situation, but you will still have to prove to the case officer you have relevant skills and qualifications. Is it required to have IELTS score even if I migrate through my existing employer in India which has offices in Australia on TSS for 18 months along with family? Also what are the benefits available for dependents (Is Day care/pre school etc free/subsidized for them)? Given – you are sponsored by overseas business and your salary is above a particular threshold, English test may not be required. Please book a consultation if you’d like to discuss. I am working in a tech company in india. My company had already filed a 457 visa before and that was approved and visa was granted recently ( March 2018). However as i got role elevation, my company was about to file for amendment, but this new 482 TSS visa came to picture. Now my HR and i’m equally confused what should be done at this point of time. If it is new ANZSCO code, new nomination and a visa application may need to be lodged. Book a consultation if you’d like to discuss. Hi i am from INDIA. I am working as a HR Recruiter and i know my work exp falls on TSS – 1 and i know i am not eligible for PR. I could stay the max 4 yrs legally. Is there any legal way i could get a PR after 4 yrs TSS visa? Am i eligible to start a small business? There are various ways for getting a PR if you are aon TSS. It all depends on your particular circumstances and current migration law. Please book a consultation so we could check your case. I’m holding a student visa and currently working as accountant on a casual basis for 1.5 years. Also, I have oversea working experience as accountant about 5 years in my country, does it fulfill the requirement of working experience?Am I eligible to apply for TSS visa? Please keep in mind some occupations in Australia require a licence. Work experience should be “skilled” which means – gained after getting a prerequisite qualification. A question remains if your overseas experience will be considered as “skilled”. No way of knowing without checking details of your past career. Please book a consultation if you’d like to discuss. for TSS work experience needs to be paid? and for two years? my tourist visa expired yesterday, i am planning to go to immi for bridging visa; after getting bridging visa can i apply any other visa? I never got any visa refused or cancelled in Australia; its just that my tourist visa ceased a day ago. There are some visas you may apply for even being unlawful non-citizen. This article is about 482 not 408. Please book a consultation if you’d like to discuss your case. I’m an overseas student, doing my early childhood education and care degree atm. For some personal reason, I have been delaying my study in a year, at the same time I have been working in a childcare centre. Now they want to sponsor and employ me to work full time for them. I have done my diploma. Is there any way to switch from student visa to working visa? If so what sort of visa is a option for me?? Thank you. 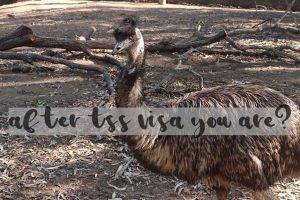 There is a 2 year work experience requirement for TSS visa, so you may not qualify for TSS visa unless you will have a prior experience from overseas. Please book a consultation so we’ll assess your case. Will prior Medical condition be an Issue in grant of TSS Visa (we have our own Private Medical Insurance) and will any special authorisation is required from the employer in case of prior medical condition? Health waiver is available for 482 visa. Authorisation from an employer is not required anymore. Is it possible for a person with skill in medium-term visa skills apply for short term visa. You specify a duration for a visa in an application. It could be up to 4 years for occupations from MLTSSL list. I am from India, I have 4year experience as a IT networking engineer. Can I eligible for TSS VISA. Please share some more information with me. You might be eligible. Is there an employer willing to sponsor you for a visa? Could you please let me know the processing time for 482 dependent visa currently. Its been a month that lodgement is done for the dependent visa request. Have a look here this question has been answered already. What is the estimated processing time for tss visa?its wriiten 11 to 17 days in immi accoubt.can someone pls confirm the same. If your employer is an accredited sponsor, then yes. What is the processing time for a standard business sponser? Average processing times are advertised on a department’s website. Make sure all the required evidence was uploaded at the time of application, otherwise it will end on the bottom of the pile and will be assessed later than the complete applications. is it possible to apply for a tss (medium term) with no formal qualification but about 6 years experience as a fitter overseas and 1 year in Australia. As long as 7 years work experience is relevant to the occupation as a fitter I would expect a case officer to accept it for TSS visa. Can I know the general processing time for each stage: Sponsorship , Nomination , Visa application? the best idea is to lodge all 3 stages together so a case officer will be able to make a decision one after another – it happens this way. I have construction experience for many years in overseas but no qualification. Finishing a diploma of construction qualification this year. Will my experience counted for TSS? Depends on the occupation and type of experience. I’d say – possible. 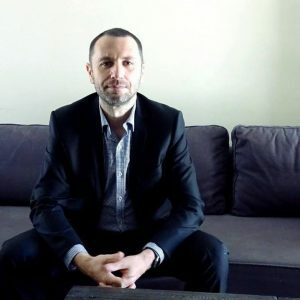 Karol Nowak (also known as Charles) is a skilled and knowledgeable immigration specialist with experience in management of a range of Australian visa applications from temporary and permanent work visas through a partner, skilled independent and student visas. His wealth of experience enables him to deliver a high level of service to Nowak Migration clients. Charles is fluent in English and Polish.